This is the Sherwin-Williams logo. They sell paint, if you’ve never heard of them. And they have one of the most menacing logos I’ve ever seen. It looks like Sherwin-Williams is covering the earth in blood. And it doesn’t look just a little bit like they’re covering the earth in blood, it looks a lot like they’re covering the earth in blood. The worst part is a bunch of experienced, well-paid people looked at this logo, thought it was great, and approved it. Think about that. At some point some people thought that this horrifying logo was the perfect expression of their brand, that it was exactly how they wanted to present themselves to the consumer. In fact, this happened not just once, but twice. 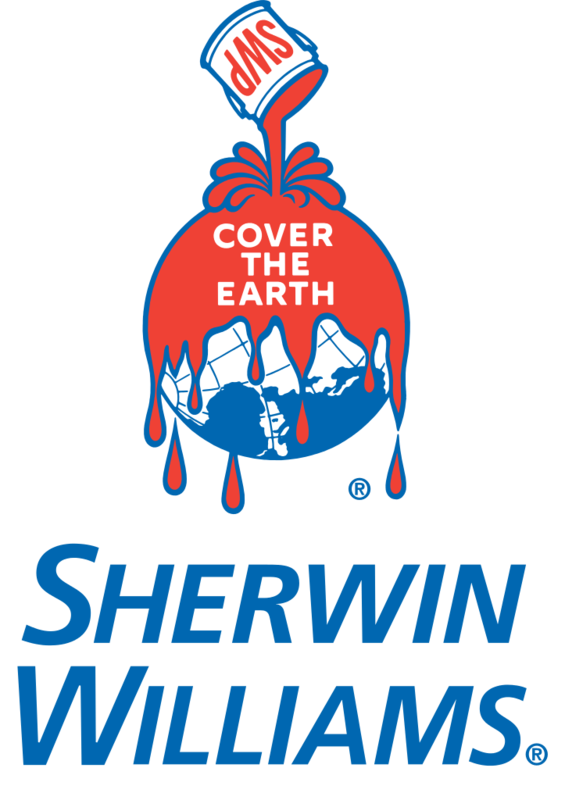 Sherwin-Williams isn’t some tiny company who made a weird logo decision, either. Founded in 1866, they had more than 10 billion dollars in revenue in 2013. In the same year, they employed more than 37,000 people across five continents. The blood-pouring-over-the-entire-planet thing is considered, focus-grouped, and stood behind. And it’s totally insane. I can just imagine the meeting at Sherwin-Williams’ design headquarters. Boss: Hey guys, we need a logo that says, “We want to sell you paint.” Any ideas? Designer 1: Well, how about a planet? Designer 1: And the planet can be covered in paint! Designer 2: Yeah! And the paint can be red since red is a very attractive color. Designer 1: And it can be dripping off the planet hanging in space like blood. Designer 2: And we can use the slogan “COVER THE EARTH” because we want people to buy a lot of paint to paint things with! Designer 2: Our sales will go through the roof! Boss: Where the hell did you two come from? Designer 1 and Designer 2: IA! IA! COVER THE EARTH! COVER THE EARTH! COVER THE EARTH!! Undoubtedly that is exactly how it all went down. You can find this logo everywhere, too. It’s not some obscure thing I dug up and felt the need to reveal. It’s on trucks and polo shirts and billboards and storefronts. You can’t escape it. It reminds me of this.